This one is really the more sophisticated sibling of your plain Jane time and sales display and fills much the same role, albeit in a fresher, newer, non-linear way. 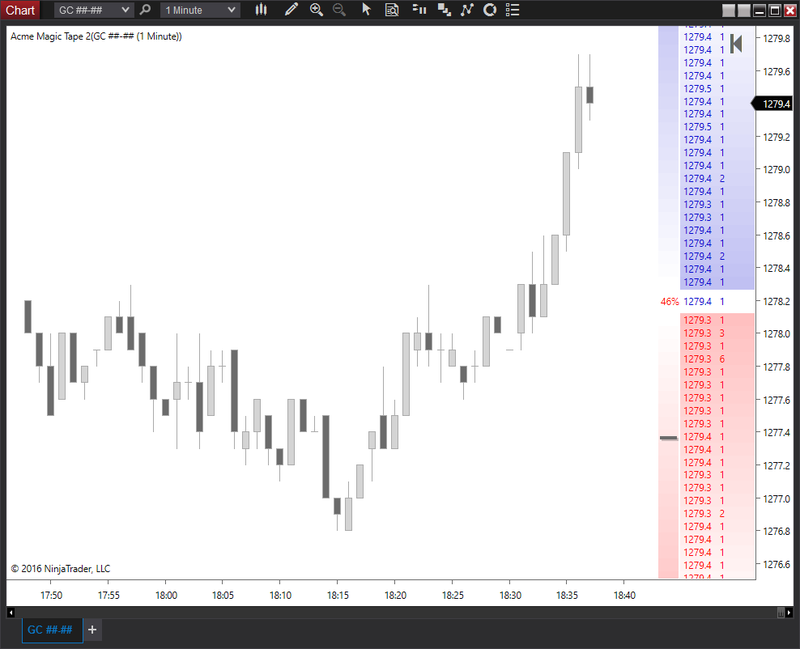 Instead of just showing each transaction as a buy or sell in a vertical sequence of times and numbers, this Magic Tape 2 splits each transaction into buys and sells, then sends the “buys” skyward and casts the “sells” down below. In addition, it calculates and displays an instant, rolling volume imbalance as an easy-to-understand percentage and meter display based on a configurable number of previous transactions. It’s a simple, better-organized alternative to reading the DOM. 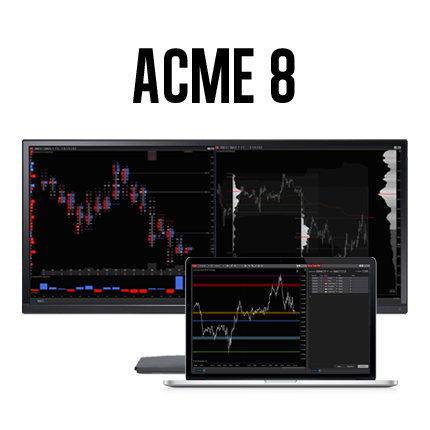 Features the ability to mark block trade sizes. There are regular block sizes and mega block sizes. You can set a special color for mega block sizes so that they catch your eye. Provides optional tick aggregation, allowing you to effectively slow down the tape. 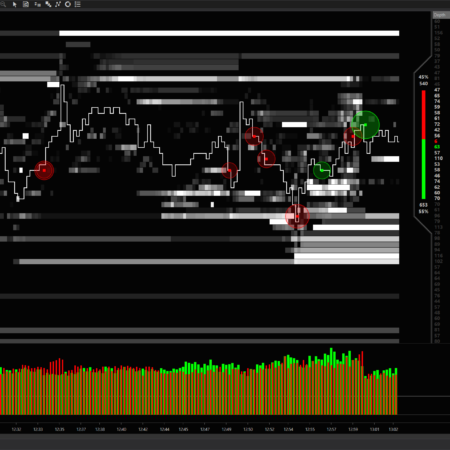 Aggregation, since the CME and other exchanges revised their trade reporting in 2015, is not as useful as it once was, it’s still great for visualizing pulses of volume which might simply race out of view on a normal time and sales display. 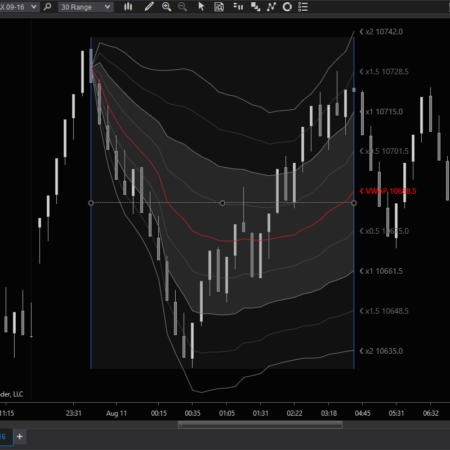 Block trades can have optional and configurable audio alerts. Has a parameter to filter out transactions below a minimum size. 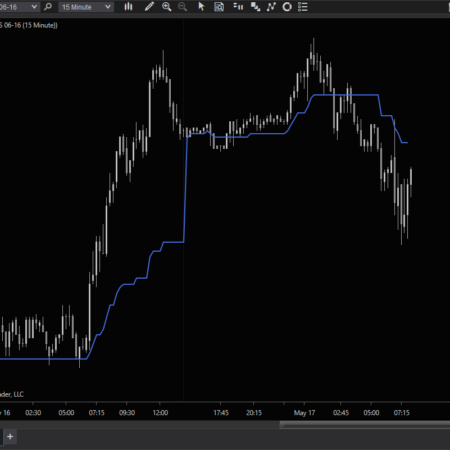 A parameter sets the rolling volume imbalance (delta) to evaluate a configurable number of trades. Uses bid and ask prices for determining whether a transaction is a “buy” or a “sell”.